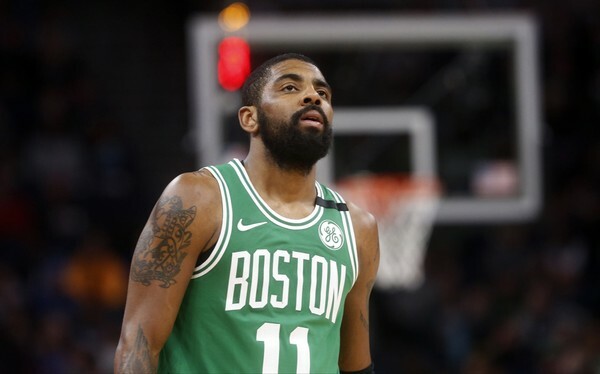 The Boston Celtics have announced that Kyrie Irving will undergo minimally-invasive surgery on his sore left knee tomorrow (Saturday). Kyrie suffered a fractured kneecap in 2015 and had several screws inserted during the initial surgery. Nothing will be positively determined until the surgeons inspect the affected area during tomorrow's surgery and identify the cause and propose a solution to the soreness experienced by Irving for the past couple months. Celtics say Kyrie Irving will undergo a “minimally invasive” procedure on his left knee but give no timeline on his return. There is a good chance that the planned surgery involves removal of the screws from the area of the knee, and from what I have learned, this will leave small holes in the bones where the screws had originally been embedded. This would weaken the bone and leave it more susceptible to further injury. Recovery time is 4-8 weeks, and the chance of re-injury remains even after recovery. The Celtics are supposed to give an update after the surgery is completed. This would mean Kyrie would miss the remainder of the regular season if the surgery involved the screw-removal, but still allow him to return for some of the playoffs. Irving and the entire Celtics crew would have to decide if the further chance of injury is worth the risk of any type of return. If the surgery is less-invasive (screws not removed), his return could be sooner. Stay tuned for updates.